Arsenal midfielder Aaron Ramsey is likely to feature against Newcastle in the Premier League next Monday, after a quick recovery from a thigh injury. The Welshman picked up the knock while away on international duty, which forced him to return to the Emirates Stadium early and miss fixtures against Trinidad and Tobago and Slovakia. According to Metro Sport, Arsenal officials are confident that the 28-year-old has not sustained any serious injury, suffering tightness instead of a muscle tear as initially feared. This latest news will come as a huge boost to club supporters with the playmaker set to shake off an injury scare ahead of a vital period for the club. Metro Sport states that Unai Emery should be free to select Ramsey in his matchday squad to face Newcastle next week, as the Gunners resume their domestic campaign after the international break. Arsenal are currently fourth in the Premier League table, two points ahead of fifth-placed Manchester United and a point further clear of Chelsea in sixth. 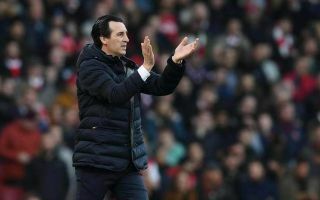 Emery’s men are aiming to secure the final Champions League spot but they can also qualify for next year’s competition by winning the Europa League come May. 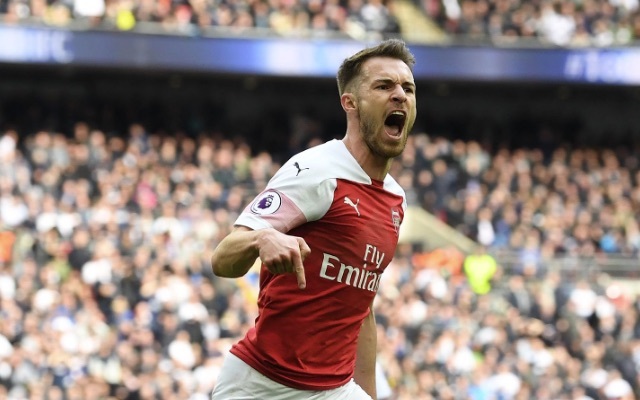 Ramsey has been a key figure in Arsenal’s starting XI this term, contributing four goals and six assists in 34 appearances across all competitions. The Wales midfielder will be hoping to finish his career at the Emirates strongly, as he awaits a summer transfer to Juventus upon the expiration of his current contract. It still seems inexplicable that the Gunners are allowing a key player like Ramsey to leave the club for nothing when the market reopens, but at least he is still available to make a difference for the team between now and May. A win against Newcastle could help cement Arsenal’s spot in the top four, with only seven games of the 2018-19 campaign to negotiate thereafter and Ramsey now looks likely to play a key role in trying to secure the three points against the Magpies.